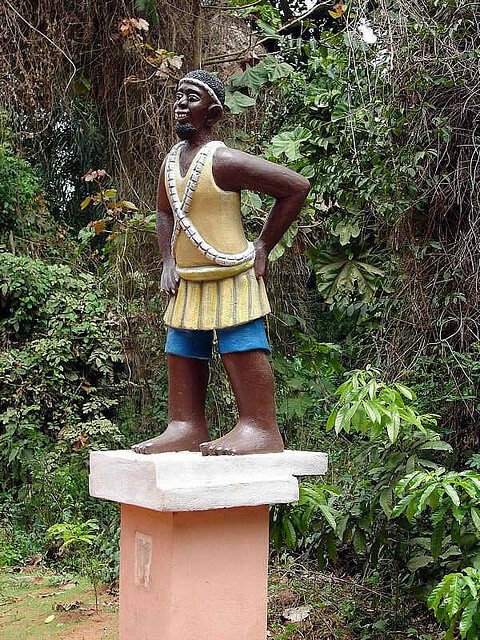 Benin formerly known as Dahomey sat in the gulf of Guinea hemmed in by the might of Nigeria on its Eastern flank and Togo to the West, with the warm waters of the Atlantic Ocean lapping along its palm fringed beaches. 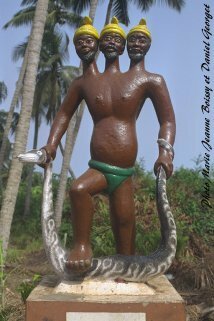 This former French colony is rich in colonial history; home to the “Slave Coast” of Ouidah, and the spiritual birthplace of Voodoo. 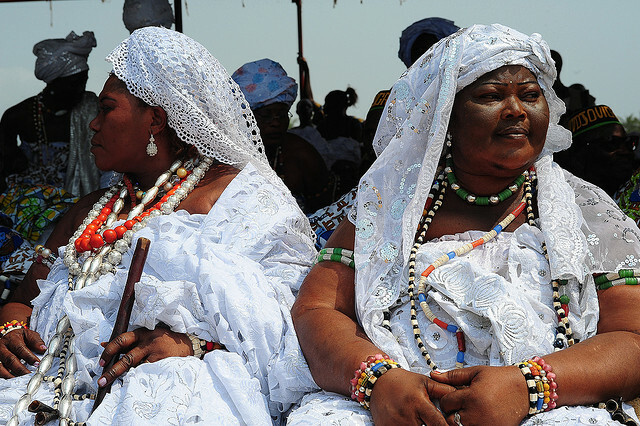 According to the Voodoo tradition, there is one supreme god, who is known by different names in different parts of the world. 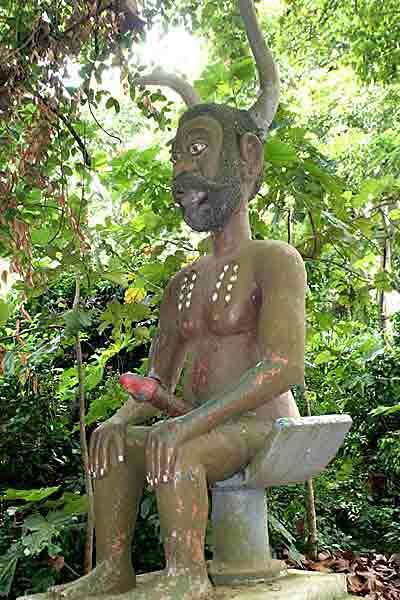 In Haiti, for example, he is called Bondye, which comes from the French bon dieu, meaning "good god." Regardless of which name people use, the primary god is immensely powerful and beyond the reach ordinary followers. 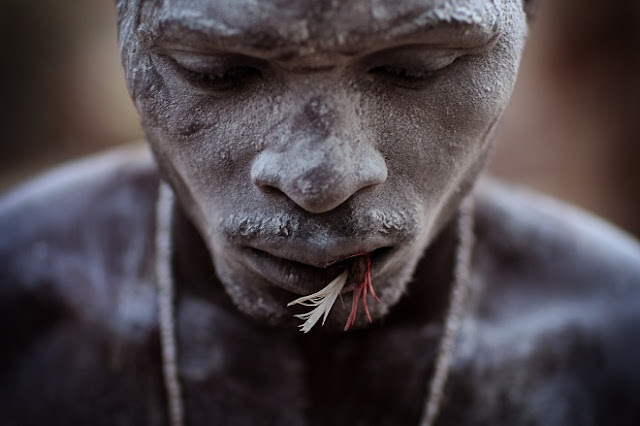 For this reason, Voodoo practitioners must rely on hundreds or thousands of other spirits to communicate with god. 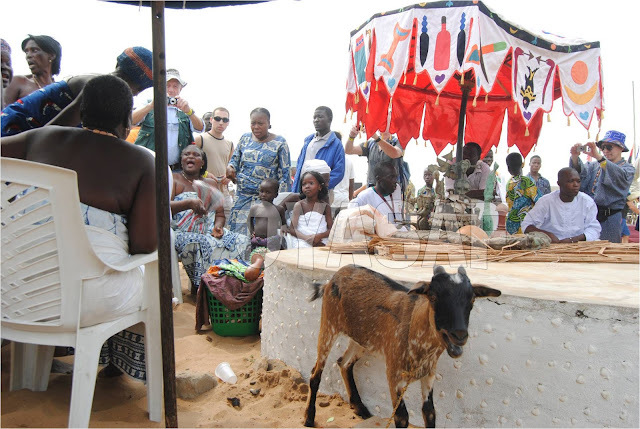 Voodoo followers at ouidah Voodoo festival in Benin,home of Voodoo. 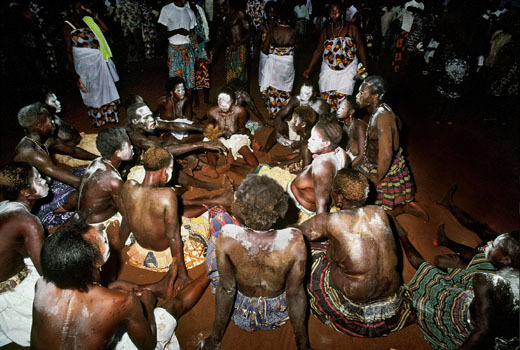 Part of the Voodoo belief is that loa communicate with followers through possession. The loa temporarily displaces the soul of its host, or medium, and takes control of the medium's body. According to this belief, the medium cannot feel pain or become injured while possessed. The loa speaks through the medium, often giving instructions, advice or prophecies of future events. 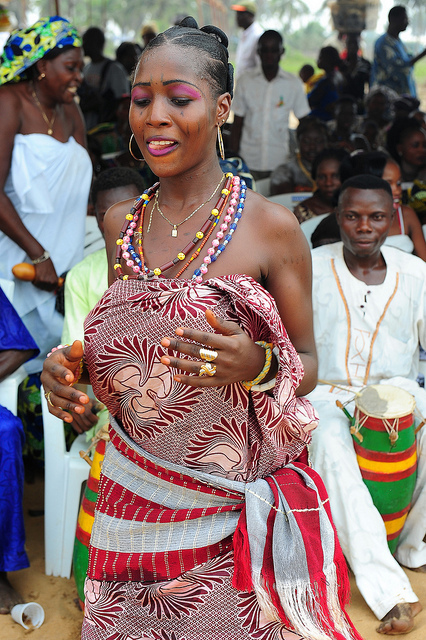 Sometimes, a loa rebukes followers for failing to perform their duties to the loa, their family or their community. In some Voodoo traditions, a few select people have the privilege of becoming possessed. In others, the loa may choose to possess anyone at any time. 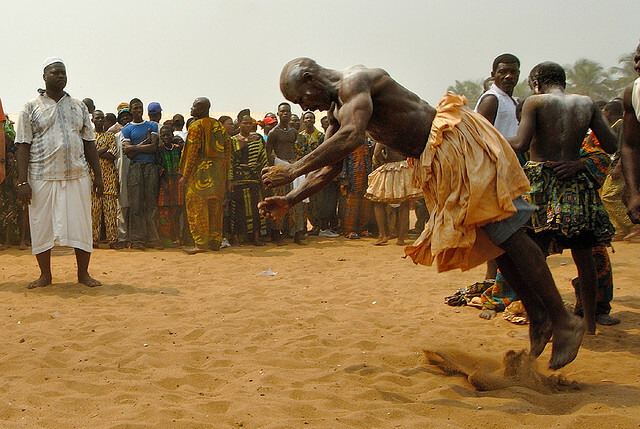 Trance Dancer in full flight at Voodoo festival,Ouidah,Benin. 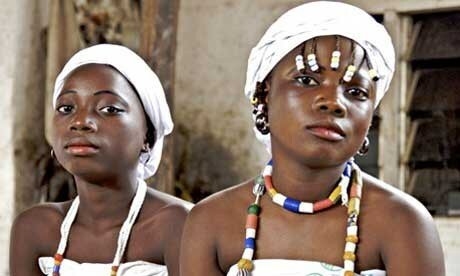 Voodoo, or Vodun as it known locally, is an officially recognised religion, claiming 40% of the population as adherents. 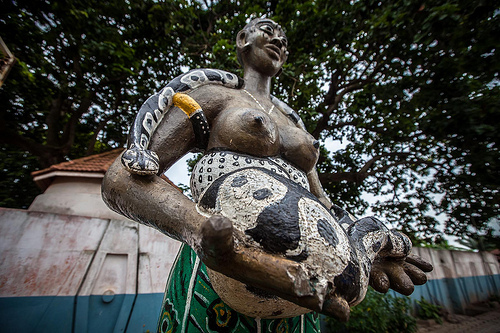 For millions of Beninese, voodoo is a skullduggery-free part of everyday life. It does have a dark side – it’s hard to miss the voodoo dolls riddled with nails – but this is only one aspect of it. Ouidah’s Voodoo Festival, Benin’s most vibrant and colourful festival, is a showcase of its other qualities. 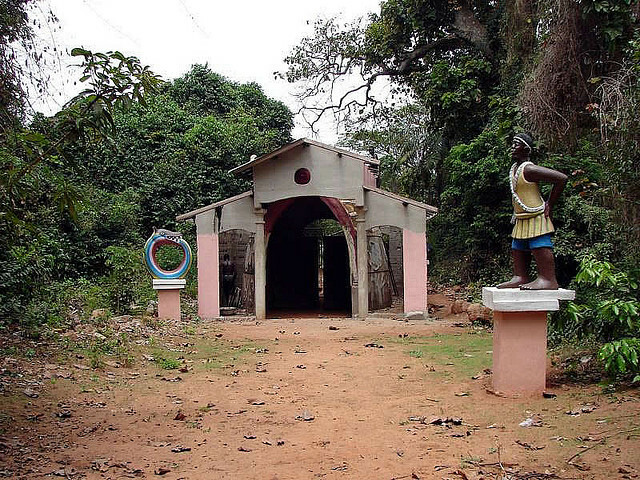 Since 1997, one year after the government officially decreed voodoo a religion (one practiced by around 60% of Benin’s 7.4 million residents), thousands of believers have flocked to Ouidah, the historic centre of voodoo worship, to receive blessings from the city’s voodoo chief. The celebrations begin when the supreme voodoo priest slaughters a goat to honour the spirits, and are marked by much singing, chanting, dancing, beating of drums and drinking of gin. The beach also briefly becomes a racehorse track. The ‘Egungun’ are believed to be possessed by spirits of dead ancestors placed upon earth to guide the living and must be treated with respect. The idea of the ‘spirit’ appears in many guises. The Nigerian Egungun are just one of many spirit incarnations. 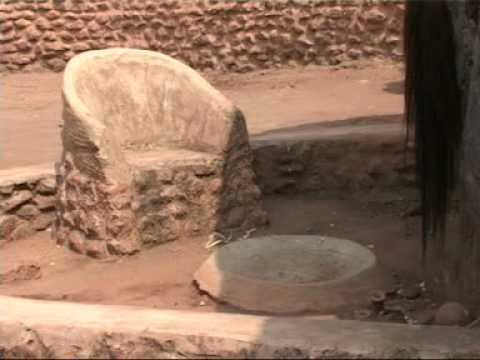 In other parts of West Africa it is manifested differently like that below. At the same time each year this flamboyant festival takes place which involves a week of activity. 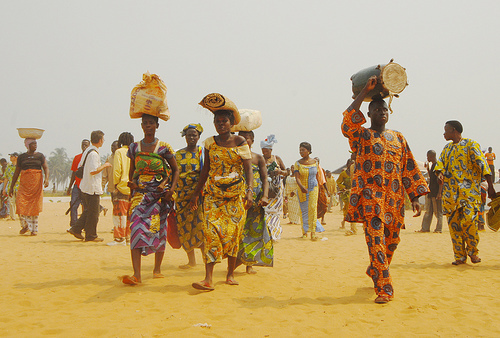 It culminates with people from across Benin as well as Togo and Nigeria descending on the city for the final day. 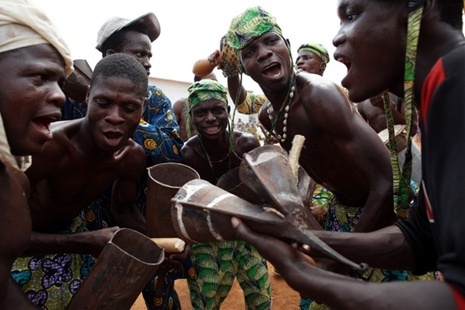 As the religion's followers gather - along with tourists - devotees in animal skins chant and dance as locals drink Gin. 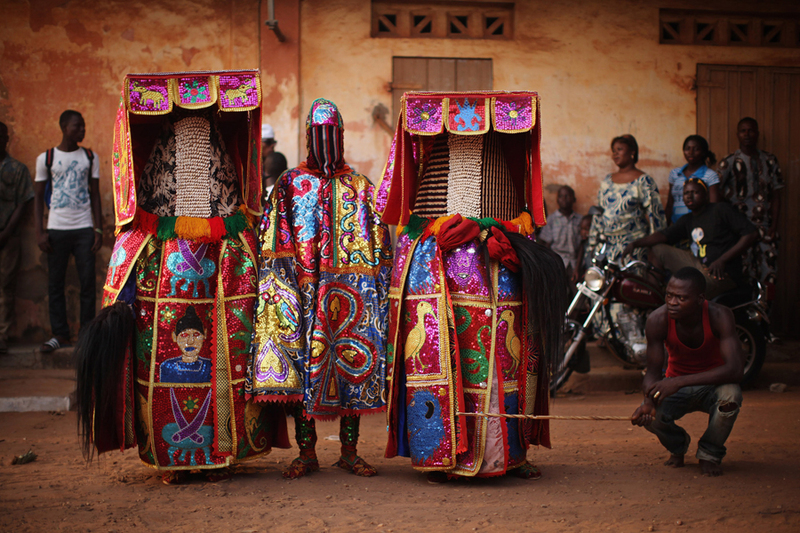 The festival features Nigerian 'voodoo spirits' walking the streets. 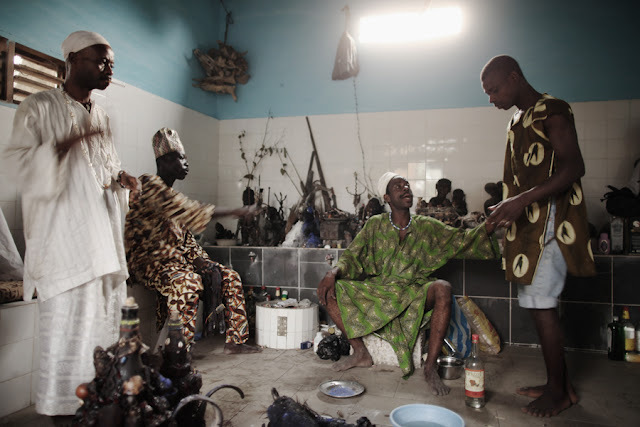 Each spirit represents the reincarnation of a dead member of the Nigerian 'Nagu' clan. The festival also features 'Egungun' spirits from the Nigerian Yoruba Clan. 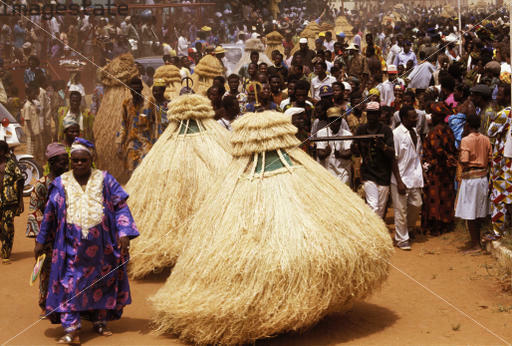 The Egungun are masqueraded dancers that represent the ancestral spirits of the Yoruba - a Nigerian ethnic group which are believed to visit earth to possess and give guidance to the living. 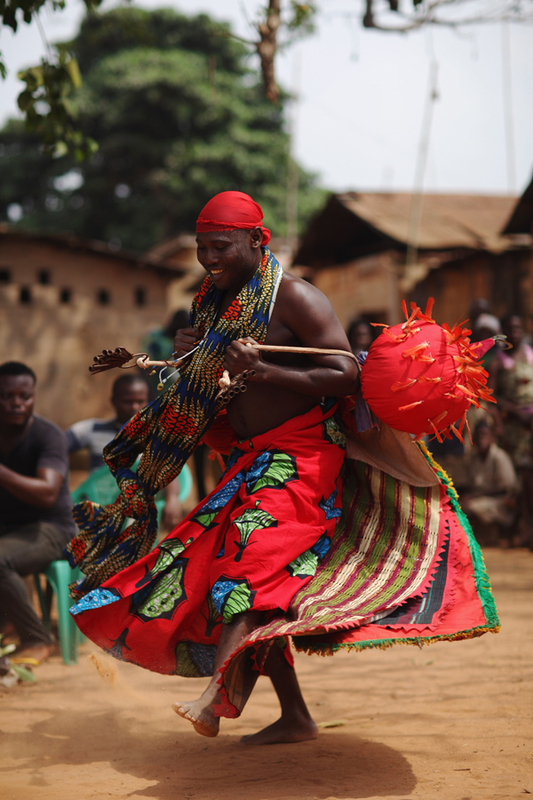 Nigerian ‘Egungun’ spirits shuffle through the narrow streets in intensely colourful dress, imparting wisdom in their inimitable high pitched ‘squeaky’ voices. 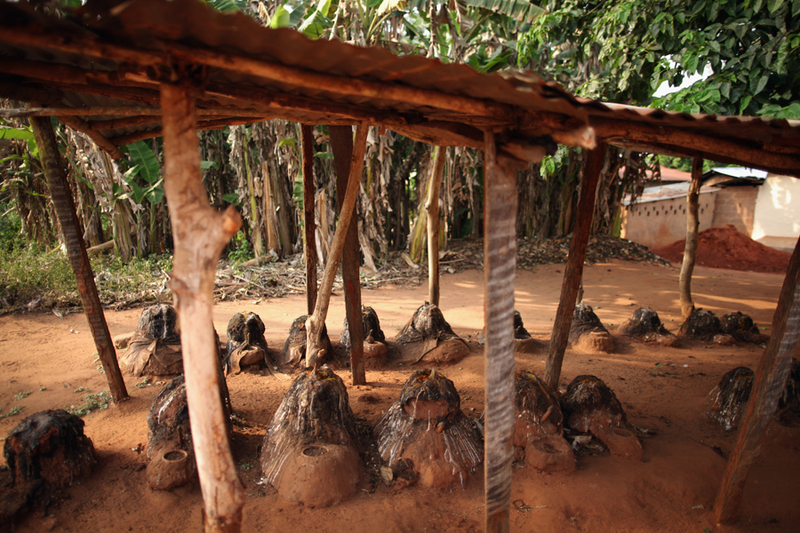 Shrouded in mystery and often misunderstood, voodoo was acknowledged as an official religion in Benin in 1989. It is increasing in popularity with around 17 per cent of the population now following it. 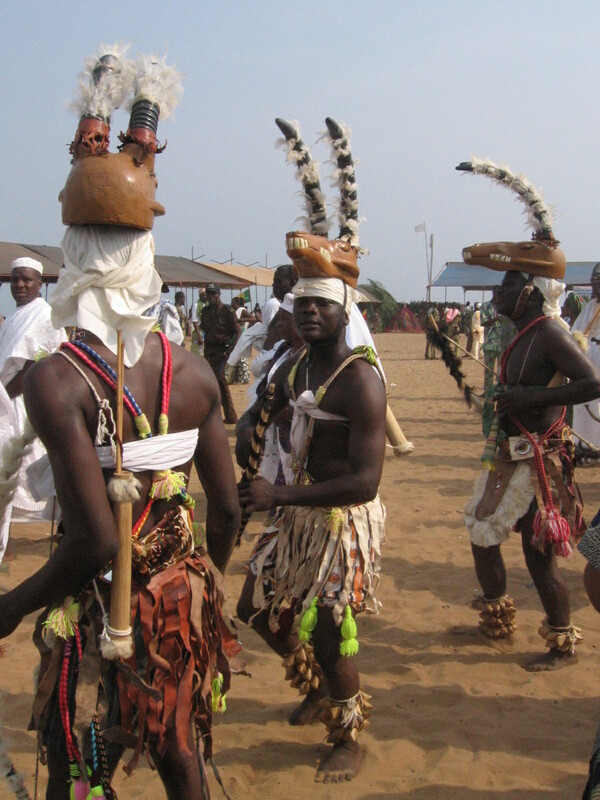 The festival takes place every year in January. Thundering drums. Whirling, bare-breasted women. Necklaced men slashing their bodies with knives and pouring alcohol over the wounds. 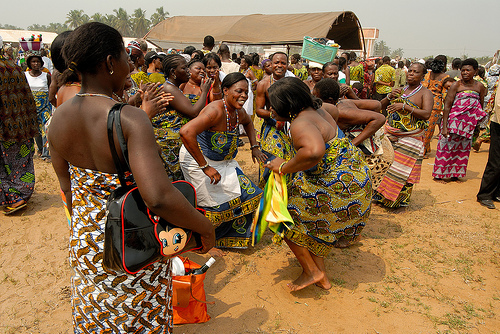 Welcome to one of Africa's most sensational events: the New Year Voodoo Festival. 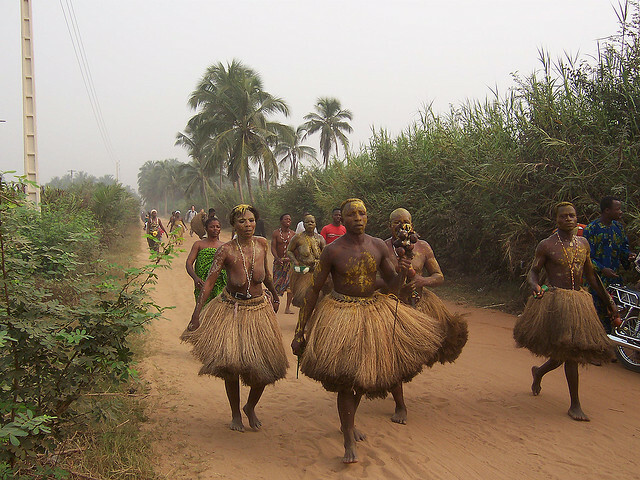 Staged annually on January 10, the festival unfolds at "the cradle of voodoo", Ouidah: a seaside town in Benin, the West African country between the equator and the Tropic of Cancer. 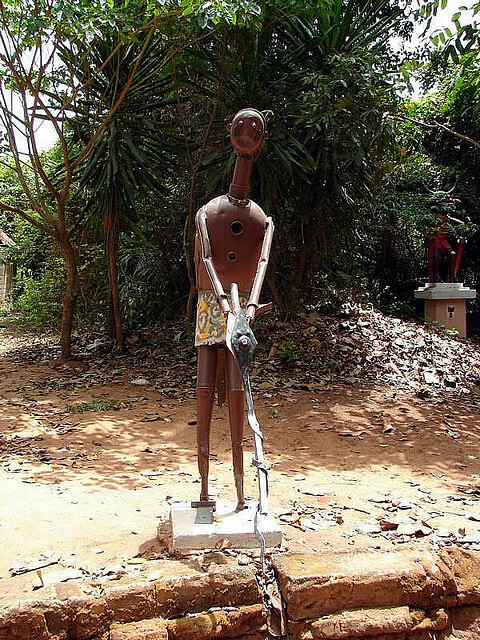 For centuries, Ouidah was a regional slave trafficking hub. Sometimes trapping slaves in nets, European traders shipped hundreds of thousands from Ouidah to the Americas and the Caribbean. 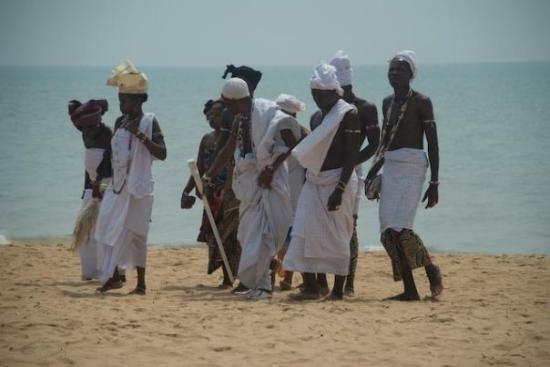 In the victims' memory, National Voodoo Day festival marchers re-enact the 3-kilometre trek from Ouidah's downtown slave auction block to the harbour. 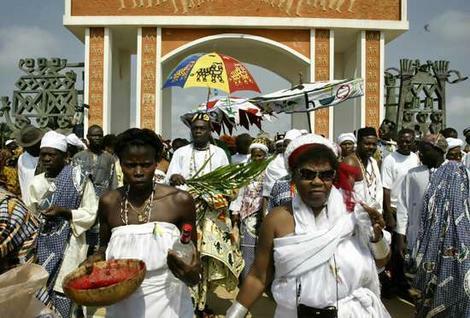 Led by the supreme voodoo chief — a pagan pope — marchers pause to pray at pilgrimage points. 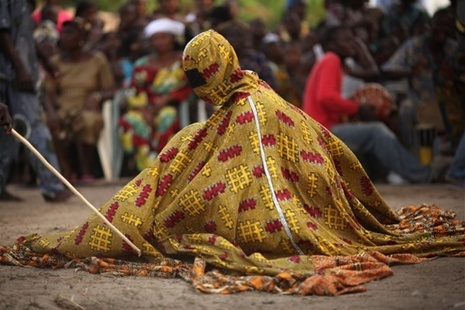 A woman leaves a voodoo ceremony in Ouidah, Benin,�carrying blood from an animal sacrifice. 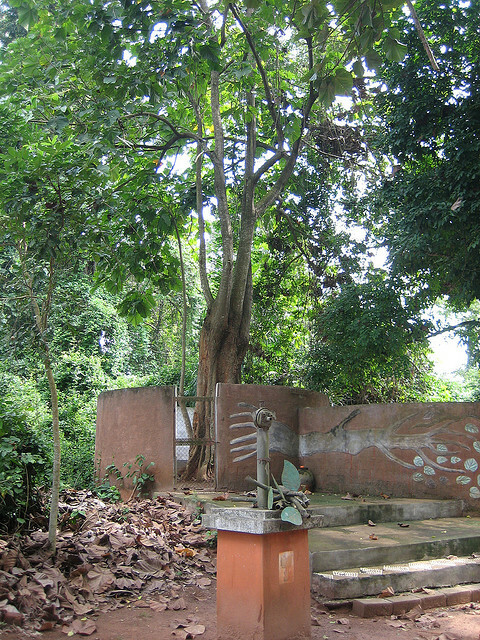 One point invested with particular meaning is the mermaid statue marking the old spot of a bizarre plant called the Tree of Forgetfulness. 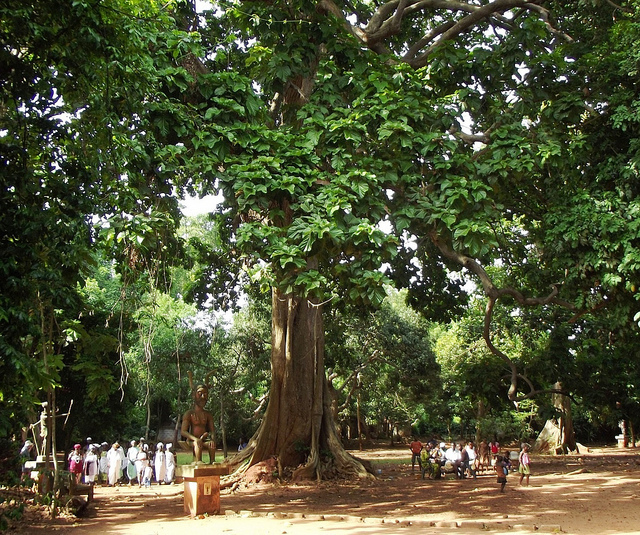 Back in the day, departing slaves circled the tree nine times, in step with the belief that the rite would make them forget their identity. Some chance; Voodoo's persistence underlines that the brainwashing failed. 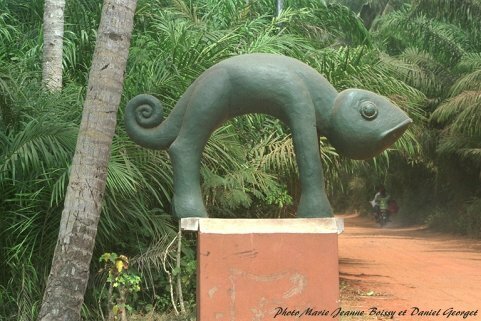 Ouidah's most striking memorial — the giant Gate of No Return arch — looms at the end of the slave trail, by the sea. 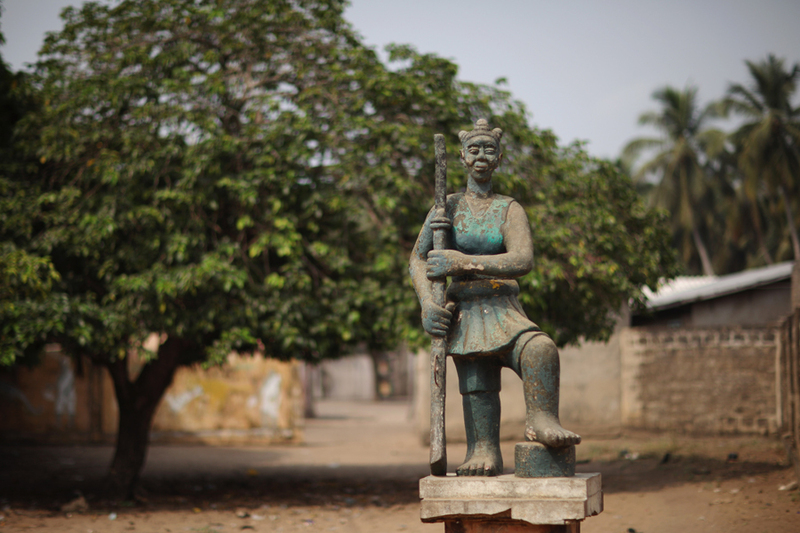 A mural spanning the top of the gate shows manacled Africans walking out through the waves, toward a future of permanent hardship — if they survived far beyond the Bight of Benin. 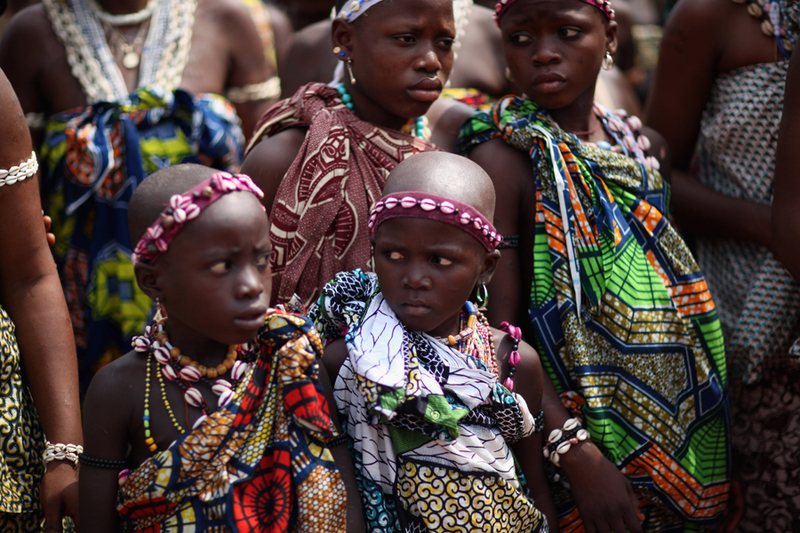 Devout worshipers gather from across Benin, as well as Togo and Nigeria. 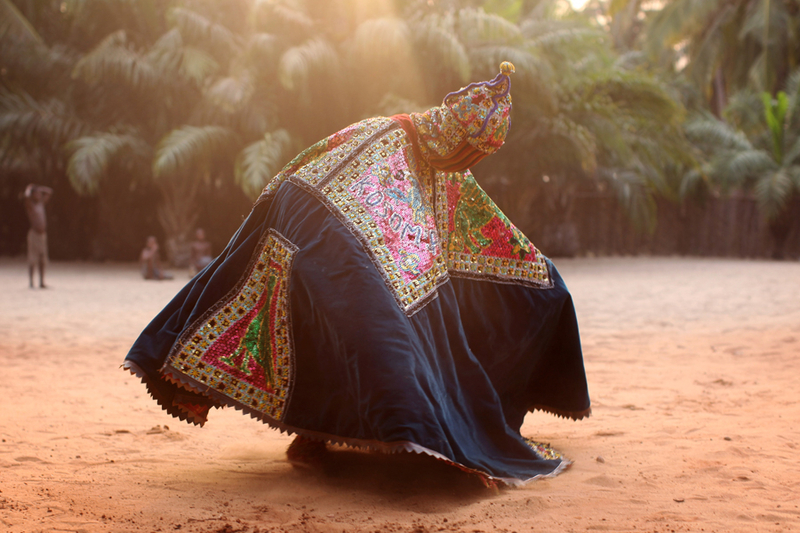 Along with the odd curious traveler, they descend on the coastal town of Ouidah and surrounding villages to witness a week of intensely colourful celebration, frenetic whirling dancing and rhythmic performance. While dancing marchers circle the gate, horse racers tear across the golden-brown beach. 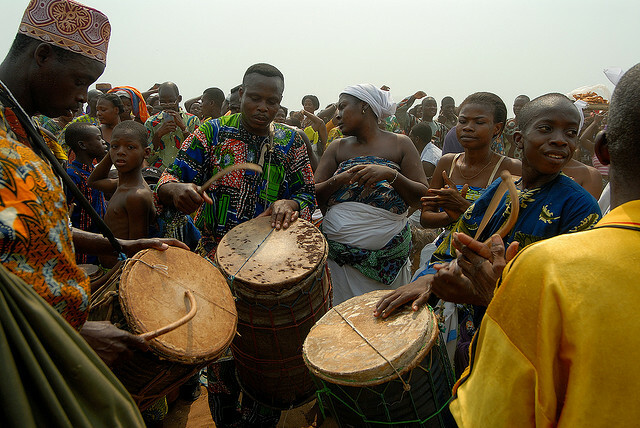 Above the thumping of hooves and drums, loudspeakers blast Congolese music at the throng, which consists of everyday Africans mingling with snazzily dressed royals and entranced, chanting priests. 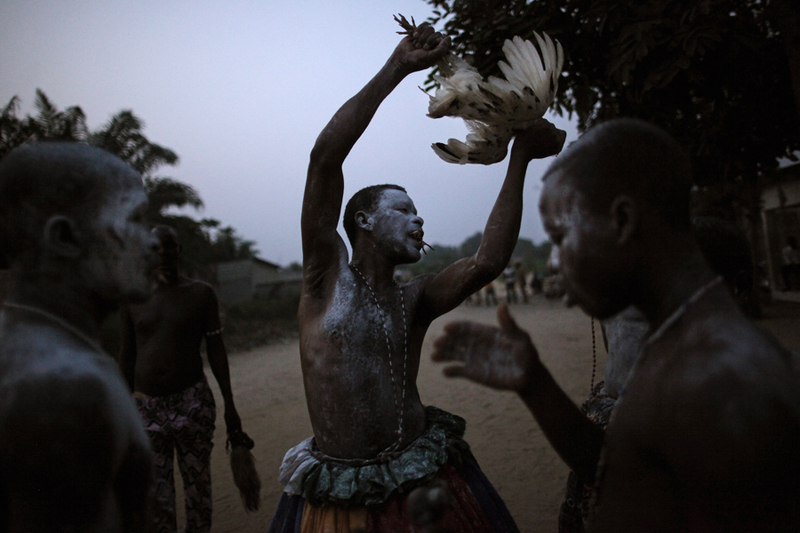 A dancer in a state of 'Trance' performs at a Voodoo Ceremony on January 9, 2012 in Ouidah, Benin. 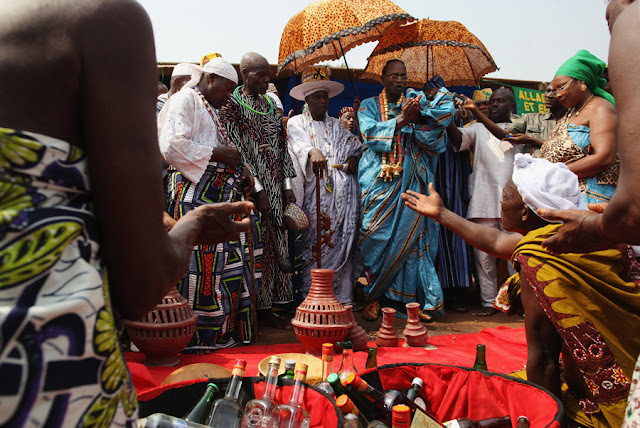 Priests shower blessings on followers sipping 'libations' (firewater offerings to the gods). 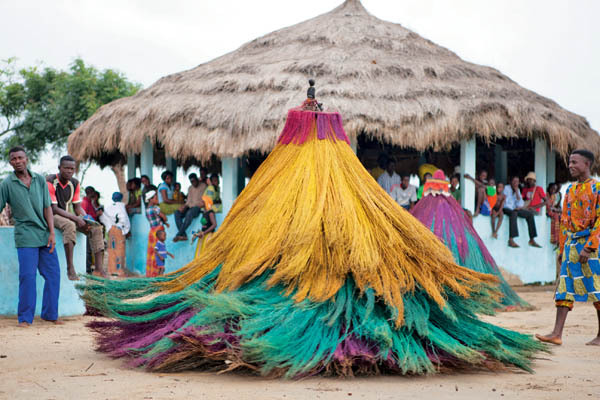 Human haystack 'Zangbetos' meant to police proceedings spin hypnotically. The spectacle shows that, despite its B-movie black magic image, voodoo means more than pin-skewered dolls, sacrificial virgins and zombies loping through the night of the living dead. Voodoo is about celebration — embracing the values of peace and prosperity, enthusiasts say. Still, WOMAD it ain't. Besides self-mutilation, the gin-fuelled carnival features the waving of wooden phalluses and the sacrifice of chickens in primal style. 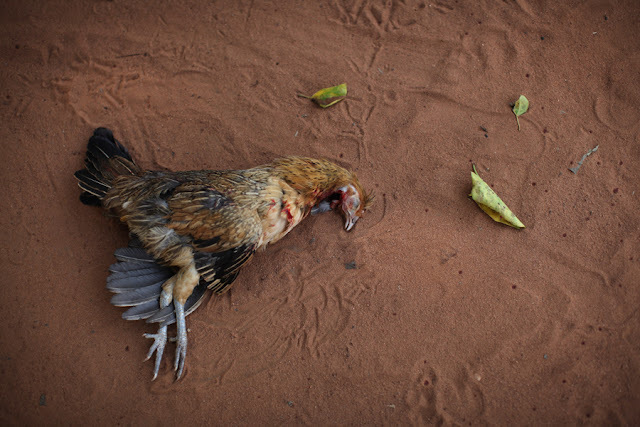 Priests rip out chook throats with their teeth, spraying blood everywhere and stoking fear of bird flu infection. 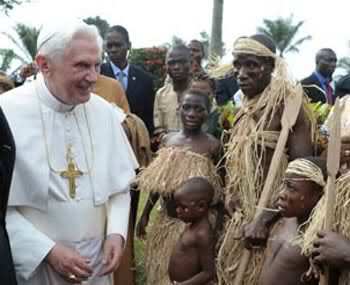 Undeterred, the priests merrily drink the blood. 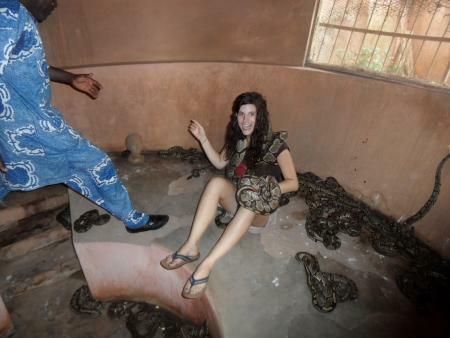 Plus, they slaughter a goat, in honour of the python spirit at the heart of the voodoo religion, the cutely named 'Dangbe', who has his own Ouidah temple housing over 400 royal pythons pampered by snake cult devotees. Waiting for the Voodoo priest, a goat slaughtered during the festival. 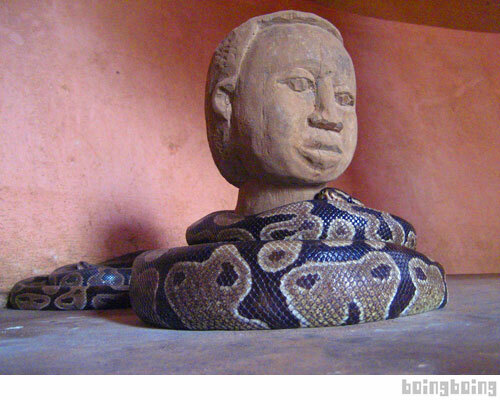 Voodoo's sensual emphasis on snakes and the like failed to please Benin's former ruler Mathieu Kerekou. 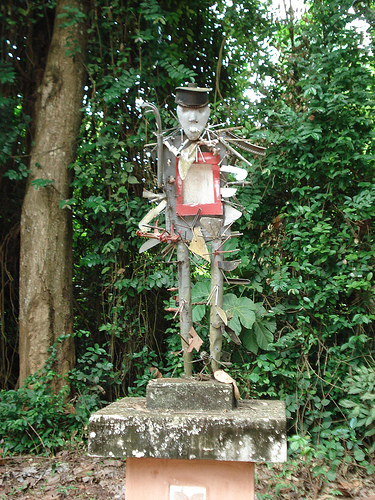 During the 1970s, Kerekou (a military Marxist) banned voodoo because it conflicted with the socialist work ethic, he reckoned. He was probably right. His bludger-friendly successor, however, repealed the ban. 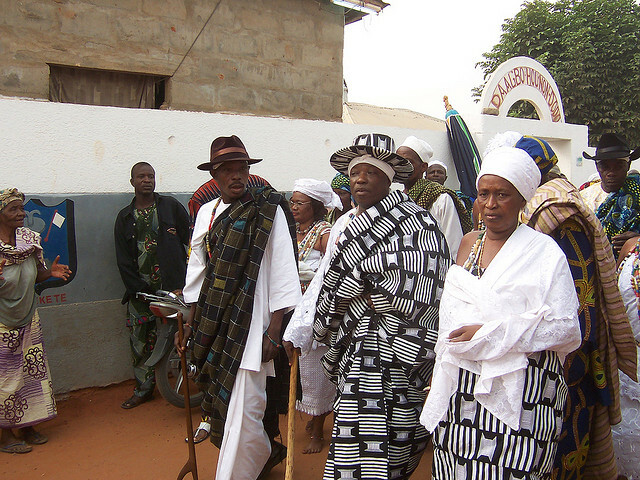 When Kerekou was re-elected to office, Beninese refused to recognise his authority until he caved and took an oath of office that specifically mentioned ancestral spirits. 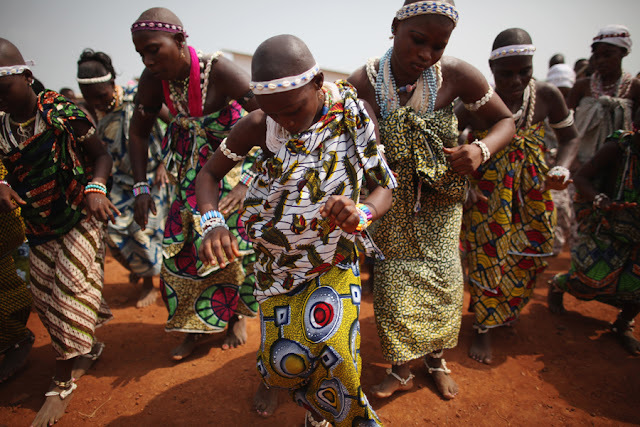 Now, irrespective of whether it erodes productivity, about 60 percent of Benin's 9 million people embrace the faith. 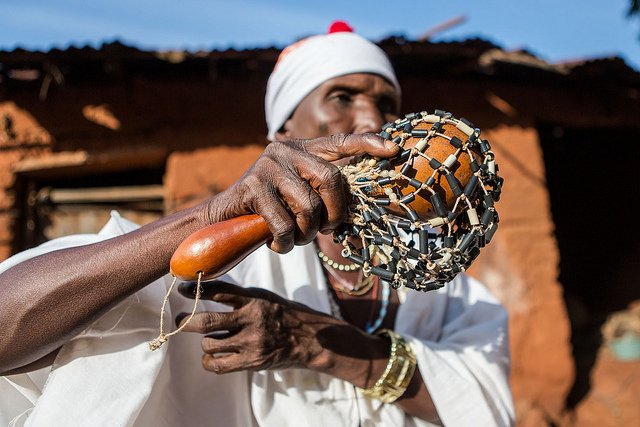 "Magic forms an enormous part of daily Beninese life and is likely to be your enduring memory of the country," writes explorer Stuart Butler in the Bradt Benin guide. "At times you could be forgiven for thinking that everyone you meet is a magician." 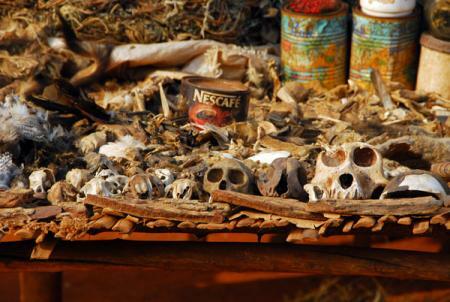 Butler argues that voodoo is more potent than anything Harry Potter can throw your way. 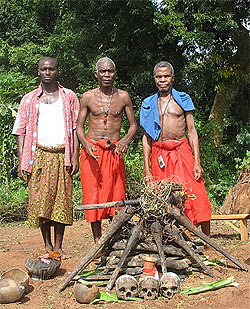 Voodoo disciples believe in a Star Wars-style 'force' that courses through everything. The show is run by a supreme god with the help of a shower of spirits running into the hundreds. Pythons apart, just about everything you care to name has VIP voodoo status. The roll call includes the earth, the wind, thunder, giant baobab trees and vampire bats: all mixed into one magic mashup. If you go, whatever your take on the occult, you must admire the theatre. Watch out for the master magician in a sequined top hat, strolling under an umbrella held by a servant. If you have no idea what to wear, feathers and face paint are a good look. Carry water to offset the heat and the effect of your glass of fiery moonshine that may be magically, repeatedly refilled. 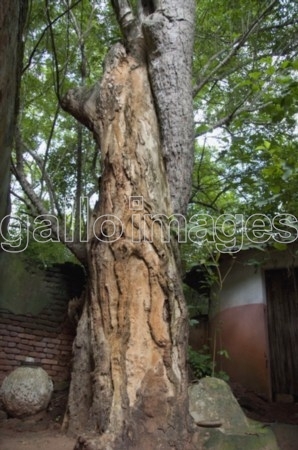 In 1988 this tree fell during a storm. Next day, as they were preparing to take the tree away, it rose back to its place. 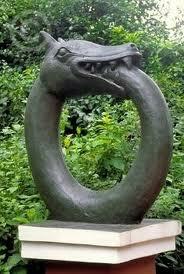 that is why they protect it now - people come for luck etc. 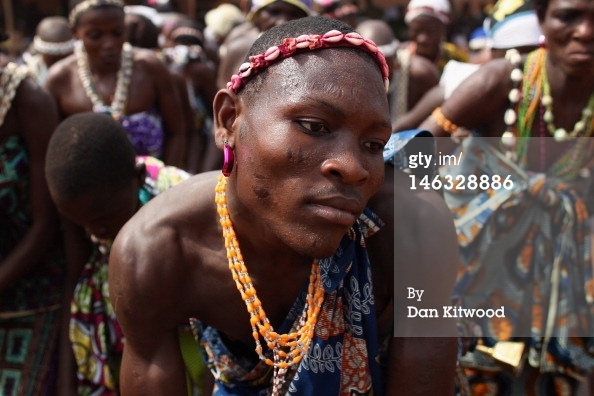 Voodoo worshipers attend the annual voodoo festival at the village of Ouidah, Benin. beautiful, the mother of all known religions, a source of psychotherapy and real power without weapons with a natural justice system build in: power abused will be punished! Satan at his dirty tricks again and the Pope should be condemned for not speaking to these deluded people the same way Paul spoke to the Athenians.